Pregnant mother Salma faces food shortages due to flooding in her village, Char Atra, in Bangladesh. Photo: Dan Chung/Oxfam. It is nearly a cliché to declare that the failure of the world’s governments to respond to the repeated warnings by scientists and environmentalists about the perils of climate change is a crime against future generations. However, as a new study released Monday by Oxfam International proves, clichés are born of facts and when it comes to the destructive impact that global warming will have on children—especially in developing nations and poverty-hit regions—the prospects are frightening. “Leaders listening to the latest findings from climate scientists this week must remember that a hot world is a hungry world.” –Tim Gore, Oxfam. In that scenario, according to comments by experts at UNICEF, it is babies and young children who are most susceptible to malnutrition, starvation, and stunted development. According to the Oxfam report, climate change “will reduce the nutritional value of both crops and livestock, worsen human health and lead to higher prices” of staple crops and key sources of nutrients. “We’ve long known that climate change will mean lost crops, but increasingly we’re seeing its impacts through higher food prices, lower earnings, more health problems and lower quality food too,” said Tim Gore, Head of Policy for Oxfam’s GROW campaign said. Not only that, but at a time when one in eight people in the world are already going hungry, changes in the climate will reduce production and increase food costs simultaneously, producing shocks which those already stressed by poverty will not be able to absorb, creating a dangerous and deadly spiral. As the much anticipated fifth assessment report from the Intergovernmental Panel on Climate Change (IPCC) is due out at the end of this week, Oxfam’s report is designed to coincide with that release and offer a closer look at how the warming of the planet will directly impact food systems and the health of vulnerable populations, especially children..
Children born last year will come of age in 2030, by which time the effects of climate change in the form of an increase in droughts, floods and storms are likely to be more in evidence. In the 10 most vulnerable countries, including Bangladesh, India and the Philippines, there are 620 million children under 18. Unicef estimates that 25 million more children will suffer malnourishment because of climate change, with a further 100 million suffering food insecurity, where they and their families are on the verge of running out. Children among the 150-200 million people estimated to have to flee their homes because of climate change will suffer more than adults because of their relative lack of resources and higher vulnerability to disease. In heatwaves, likely to grow more intense and frequent under climate change, babies and small children are more likely to die or suffer heatstroke because they find it difficult to regulate their body heat. In 2012 the drought in Russia cut the grain harvest by nearly 25 per cent, causing domestic prices of grain and bread to rocket. Oxfam research shows that the cumulative effects of the 2010 and 2012 droughts have driven many farmers into significant debt. In Pakistan the devastating 2010 flood destroyed over 570,000 hectares of crop land in Punjab and affected more than 20 million people. Eighty per cent of food reserves were lost. The destruction of crops and drowning of animals meant not only that people had nothing to eat, but that they had nothing to trade to be able to buy food as it became available. The flood caused a massive 75% reduction in income across all households affected. A recent climate attribution study has confirmed that the 2011 drought in East Africa which affected over 13 million people and led to a famine in Somalia was more likely to have occurred because of climate change. 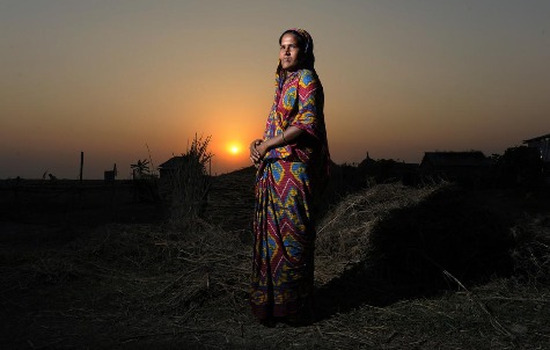 In Nepal, Oxfam field surveys showed how disruption to the monsoons is creating further pressure on men to migrate leaving women alone to look after their families and having to undertake more daily waged labour reducing their energy levels. Women often also eat last prioritizing the men and children so they can fall into a downward spiral of poor diet, health and loss of strength and energy. In 2012 the US Midwest experienced its worst drought in 50 years, which reduced the expected maize crop by 25 per cent. This contributed to global maize prices rising by around 40 per cent.